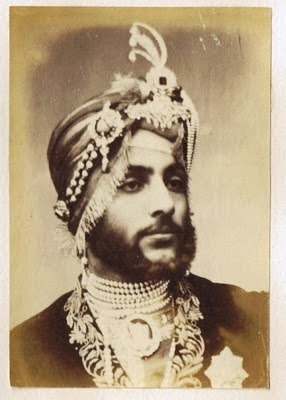 Duleep Singh - who has a camero role in Essie Fox's Windsor-based mystery, The Goddess and The Thief - had the most dramatic life. And yet, so few of us today know anything at all about the last Maharajah of Lahore. 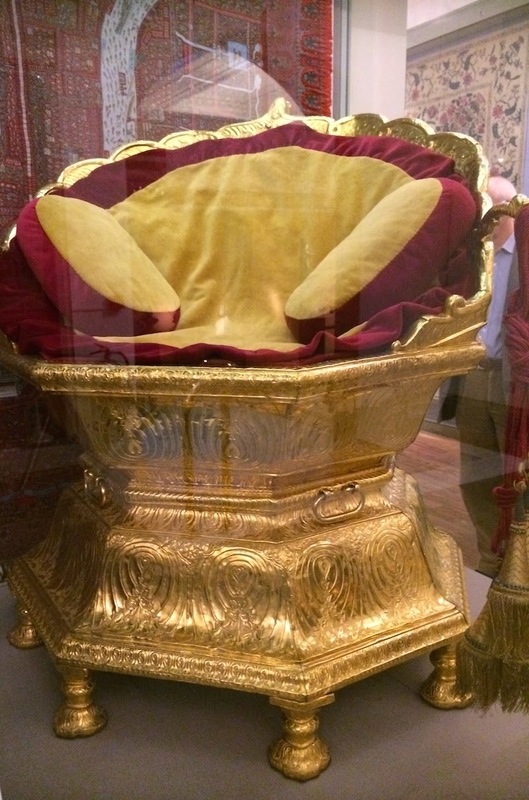 Duleep was only eleven years old when, in 1849, at the end of the Second Anglo Sikh war he was deposed from his Punjabi Throne - a throne that can be seen today in the Victoria and Albert Museum: The Golden Throne of Ranjit Singh, who had been the father of Duleep. The years that followed Ranjit's death were full of strife and turbulence, with many claimants to the throne being openly slaughtered or meeting their ends in suspicious circumstances. 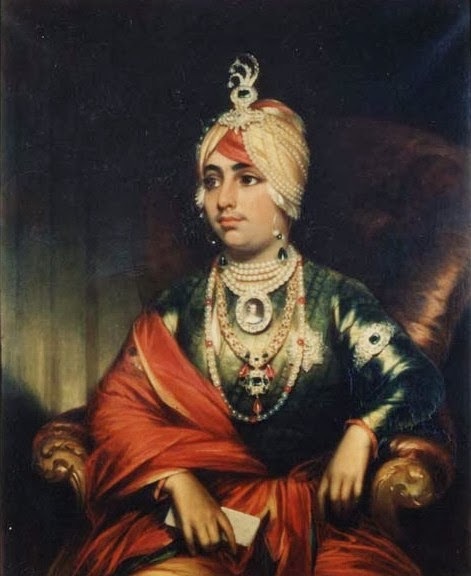 During Duleep's minority, his mother's brother Jawahar Singh acted as Prime Minister and thus aided his sister's regency. But this alliance ended when Jawahar was openly murdered in front of the little prince's eyes ~ when the two had been riding an elephant and were ambushed by some royal troops. Jawahar was bayonetted to death while Duleep was snatched to safety. This was a time of great unrest, with much corruption and in-fighting going on in the Sikh army's ranks. 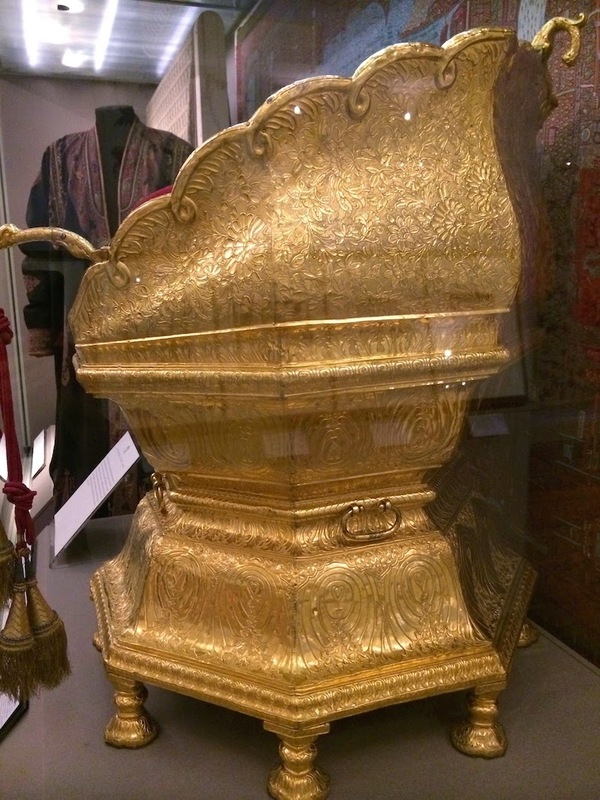 The treasury was being drained, not to mention plans then being made to remove Duleep from his Golden Throne and place one of his nephews there instead. For that very reason, his mother, Jind - along with her lover, General Lal Singh - contacted the British in India and secretly plotted to instigate the first of the Anglo-Sikh wars. By doing so they prevented a coup being taking place in the palace walls, when all enemies were forced to unite and fight against the British threat. Jind's political scheming met success. 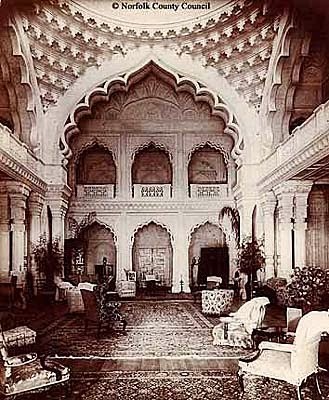 The British Resident in Lahore, a man called Henry Lawrence, was extremely accommodating. 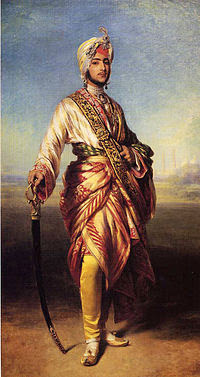 He allowed the Sikh generals and aristocrats to work alongside his own staff while running the court and territories. But when Jind began to meddle again, wanting more power for herself, she only ensured her own downfall. She was finally removed from court and separated from her son on a day when he'd been taken out to play in the Shalimar Gardens. However hard it was for Jind, it may be that such intervention saved the life of her little boy. There were many powerful men in Lahore who claimed he had no right to rule, never having been a legitimate son of the late Maharajah, Ranjit Singh/ Lion of Punjab. Ranjit, The Lion of Punjab, was old at the time of Duleep's birth. 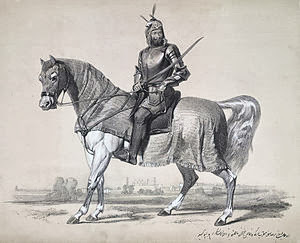 By then a diseased and diminutive man with a pock marked face and drooping eye he still dominated the kingdom through his will and military strength - though that strength was also partly based on European mercenaries, who - after the old king's death - knew exactly how to fight the sikhs, should another master pay for them. While he lived Ranjit could be charming, but he was also ruthless. 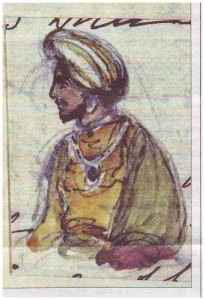 It was a popular saying that he would cut off the ears and nose of any man who dared to look at the women in his harem. It was also said that Duleep had been born following a liaison between one of Ranjit's male lovers and his low-born, lovely wife, Jindan. It was also said that the elderly king preferred to watch than to 'do the deed'. But this could be a malicious lie. The sort of propaganda often spread during the time of war. However, before he died, Ranjit formally recognised Duleep as one of his true and legitimate heirs. A powerful faction supported that claim. And so, in 1843, Duleep became Maharajah with his mother acting as regent. Even before his reign began, an older half brother, Sher Singh, who first succeeded to the throne was to die in a shotgun 'accident'. Another brother, Nau Nihal, lost his life on the day of his father's cremation, when some blocks of masonry 'fell' down from the gate beneath which he was passing. And so, the child Duleep became the Maharajah of Lahore. But his rule was doomed from the very start, mostly due to his mother's corruption, and her habit of fomenting wars to ensure her own survival. In 1849, at the end of the second Anglo Sikh war, the boy king was forced to surrender. Unlike the peace that went before, Dalhousie, India's Governor General, refused to hear Henry Lawrence's plea that another Sikh government should rule in tandem with the British one. Dalhousie's extreme solution was one of annexation, taking exclusive British control of the 80,000 square miles of Punjab. And, having deposed its ruler, he claimed everything that belonged to the state as a debt incurred by the cost of war. He auctioned the court's possessions, and perhaps the most famous ransom was the diamond called the Koh-i-nor, the kingdom's sovereign symbol. But at least he did allow Duleep to retain his royal title. The boy also received a pension from the British East India Company as the means of showing recompense for the vast amount of wealth he'd had lost. At first Duleep stayed in the Punjab, in the care of a Doctor Login, a British Army officer who had served with the Bengal Army. John Login then took the young prince away from Lahore to the Futteghar hill fort - which was far from those who might yet seek to use the boy for their ends. There, Duleep was reported as being the most engaging young fellow, winning the hearts of all he met. He enjoyed painting and hawking, and whenever becoming downhearted he could generally be diverted by firework displays or horse races; even magic lantern shows. 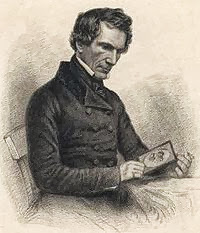 When becoming great friends with an English boy who went by the name of Tommy Scott, Duleep professed a keen desire to convert to Christianity. He also very often asked to visit Queen Victoria. Once such a visit was arranged Duleep remained in England where Victoria and Albert became fond of the engaging youth. They even took the prince along on family trips to Osborne House where Duleep was said to be great friends with the other royal children. He was also often painted by the Queen who was said to dote upon the youth she called her 'beautiful boy'. As a token of her affection she commissioned his portrait to be made by the artist, Winterhalter, who was said to be her favourite. 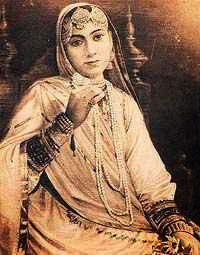 It was while Duleep was posing in the White Room at Buckingham Palace that Victoria approached one day with her hands hidden behind her back, telling the young Maharajah to close his eyes and hold out his hands - the hands into which the Queen then placed the Koh-i-nor diamond which he'd lost. Duleep was said to have been confused by such a demonstration. Not only was the Koh-i-nor the sovereign symbol of Lahore, but it had now been much reduced; its facets recut in the Western style, rather than the original Moghul shape. 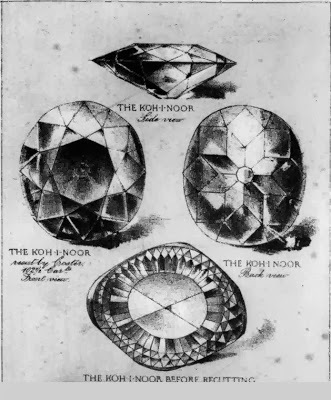 Illustration of the Koh-i-noor, before and after it was recut. Victoria's guilt at removing the boy from the home of his birth had been assuaged. Duleep retained his liberty, and the privileged English lifestyle that he became so used to. However, as the years passed by he was sometimes known to call the Queen by the nick-name Mrs Fagin - the handler of stolen goods. 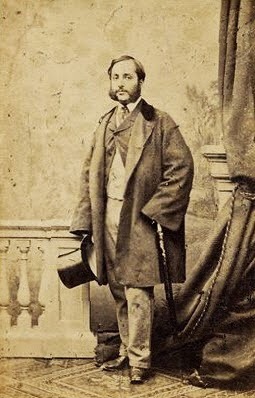 Despite living in fine country houses and indulging his love for hunting, Duleep was disappointed when his wish to study at Cambridge was deemed as unacceptable - even though Prince Edward went there and often regaled his Indian friend with the tales of his freedoms in that place. But still, it was considered best to keep the Indian prince away from the influence of other men who might seek to corrupt his Christian faith, or to lure him to rebellion. It was also frowned upon when he fell in love and expressed a keen desire to marry his guardian's daughter. The exotic maharajah might well be the toast of society parties, but a mingling of the races, well, that really was a step too far! Little wonder that the prince began to resent his loss of autonomy. 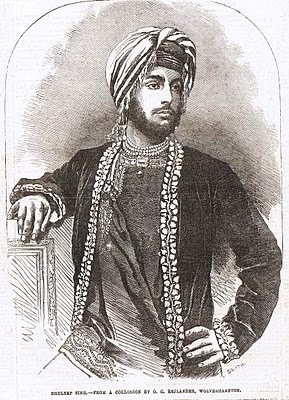 Even in his twenties, around the time of his mother's death - when Jind had been allowed to come to London to live with her son again - it was only after a long campaign of letters printed in The Times that he was finally allowed to return her remains to India, to scatter her ashes as she'd wished, in the tradition of her Hindu faith. When Duleep returned to England, he brought a new wife on his arm. The marriage was reported in The Times, and the popular young couple lived in the splendour of Elveden Hall where the sumptuous interiors echoed the grandest of Indian places. The extensive grounds of the Suffolk estate also allowed the sporty prince to indulge his love of hunting. 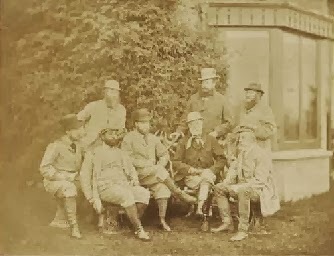 Sepia photograph which was sold at Christies in 2004, which shows Duleep Singh in a shooting party along with his friend Edward, the Prince of Wales. But Victor's father's skin was dark, and beneath it his soul remained Indian. It was often remarked by those who were less than enamoured with the Prince that, at the time of the Indian Mutiny when many of his old Futteghar friends had come to the most ghastly ends, the Prince did not utter one word of remorse. Even so, the Queen defended him, saying how hard it must have been for him to to be seen to be taking sides. But the prince was more biased than she thought. He no longer believed himself to be fully compensated for his loss. 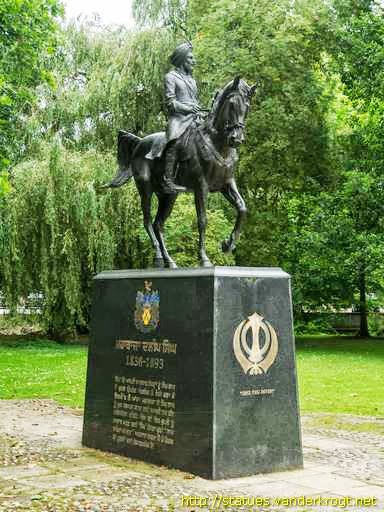 He often write to the Queen and asked to have the Koh-i-nor returned - not only for what the stone represented, the sovereignty of the Punjab, but also because of its value, which was said to be enormous and was valued at over £3,000,000. Of course, that would be a much larger sum by our present day calculations. Eventually he went so far as to renounce the Christian faith and re-embrace his Sikh beliefs. In decisions like this he was influenced by Russian and Irish dissidents who also hoped to use the prince against Victoria's Empire. They planned a Russian invasion of the British who ruled in India, marching by way of Afghanistan which bordered the Punjab territories. All such plots were doomed to fail. Duleep's intentions were soon exposed when followed by British Government spies. As a result he was exiled from both England and India - though Bamba and her children were allowed to remain in their English home while he took his English mistress to live out the last days of his disgrace on the European continent. 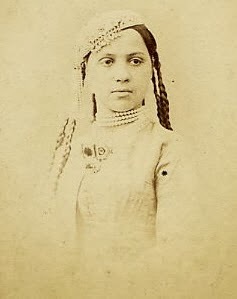 When she heard of the prince's death, Victoria, the mother of Empire, reclaimed her prodigal Indian son. She insisted on having his mortal remains returned to Elveden again. There, she gave him a Christian burial, and his grave has now become a place of pilgrimage for all those Sikhs who wish to honour the memory of the last Maharajah of Lahore. "BRINGING HISTORIES AND CULTURES TOGETHER"
H.R.H THE PRINCE OF WALES, K.G.K.T. ON 29TH JULY 1999. LATER TO BE INCORPORATED INTO THE CROWN JEWELS, PASSED TO THE BRITISH. PROMINENT LOCAL FIGURE IN EAST ANGLIA. STRUGGLE TO RECLAIM HIS THRONE. Today, the Indian government is still hoping to reclaim the stone as shown in this BBC article.